This was a fun warm up design for getting my pencil feeling natural and ready to draw Darth Vader. 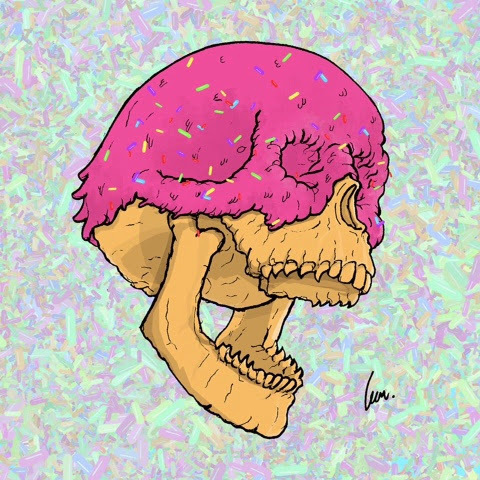 Here is the doughnut version, I love the idea of something yummy with something bleak like a skull. Skulls and anatomy I love heaps. So exciting and inspiring at Mr Leon Taylor. 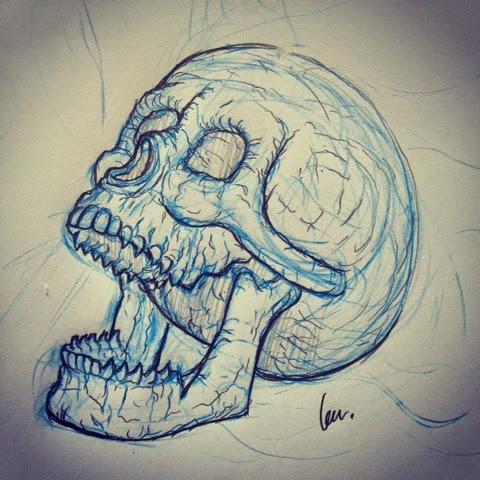 Pencil Sketch idea from the couch, while enjoying basketball. Before cleanup and colour.